The last time i got one of these it ran out in less than 14 days. I never understand the buzz this deal gets. It's effectively 10% off in the form of a store credit (when spending £100 or less), where you then have to spend on something else to make use of it. Not a bad deal if you're buying there anyway I suppose. Worth noting that these vouchers usually expire within a very short …Worth noting that these vouchers usually expire within a very short timeThe last time i got one of these it ran out in less than 14 days. Free money. Woo. If you spend £4.99 of your £5 voucher u get a penny for your piggy bank. I just buy a £10 steam voucher if there's nothing I want from Argos in the 4ish weeks that these free vouchers usually last before expiring. These are TIME LIMITED.. U have 30 days from reciceving other voucher. Also on the T&Cs, if you pay online the voucher you receive is only usable online. 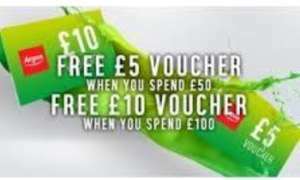 If you get a physical voucher instore it can be used online or instore. Maximum 10pc off your next purchase when you spend minimum of 50 quid and nothing off current one. Why do people fall for this every time? Its not like before when Argos waa the cheapest place to buy stuff from. Maximum 10pc off your next purchase when you spend minimum of 50 quid and …Maximum 10pc off your next purchase when you spend minimum of 50 quid and nothing off current one. Why do people fall for this every time? Its not like before when Argos waa the cheapest place to buy stuff from. Most things I’ve bought from Argos recently have been the same price as amazon. I would never call them them the cheapest place. But I’d say they’re competitively priced these days. 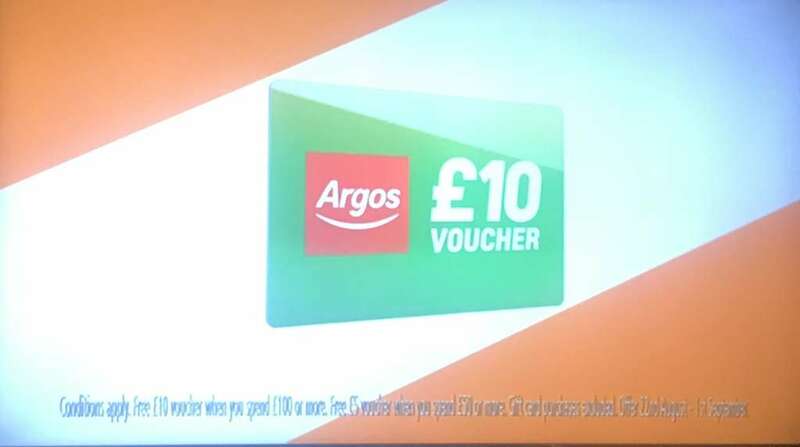 Er, cos if you're spending £50/100 at Argos anyway.... (clearance, sales, argos can be cheapest, convenience)..you'll get £5/10 off your next purhase? Sheez, people these days....minds of their own, eh? The discount codes are no longer sent with your order confirmation email. 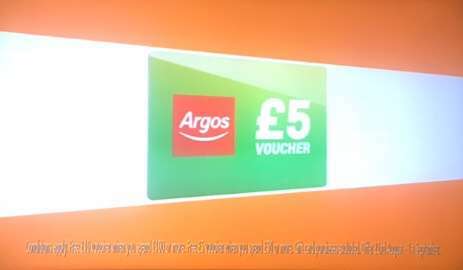 "Your order should be eligible for a discount code to use next time you shop on argos.co.uk. This reward is based on the total value of your confirmed order — so you won’t be sent a code if your order is cancelled by yourself or Argos. Keep an eye out for a separate email in the next 24 hours with your code and to find out how to claim." Do you get £10 per £100 spent in a single transaction? Also they don't give out gift cards its on the receipt so if you lose it you stuffed. Buy another one. Get old receipt and return. Worth the trouble ? Er, cos if you're spending £50/100 at Argos anyway.... (clearance, sales, …Er, cos if you're spending £50/100 at Argos anyway.... (clearance, sales, argos can be cheapest, convenience)..you'll get £5/10 off your next purhase? Sheez, people these days....minds of their own, eh? That's pretty obvious. But if you buying something anyway you will get the offer or see it being advertised. Still does not disqualify my assertion that this is not a super hot deal as per the heat these postings always get. And the time limit is ridiculous. They probably survived BECAUSE Index went and they became the only pile them high sell them cheap retailer on the high street. Does this work on preorders? Was thinking of ordering Red Dead 2. If you have money on your Nectar card and buy things with it, do you get the free voucher? Does anyone know if this applies to purchasing iTunes gift cards? You’re surprised Argos didn’t buy themselves out? Cracking was about to pull the trigger on the new Samsung watch.